This section is designed for journalists or anyone seeking information on our company. Here you can access press releases and general information about Jurys Inn Hotel Group. Jurys Inn is proud to announce the launch of its first Happiness Menu following a nationwide survey to discover what little things make guests happy. Initially launching at Jurys Inn Liverpool, the Happiness Menu offers guests a selection of treats aimed at enhancing their stay, offered at no additional cost. Each treat has been specially selected as something proven to encourage happiness in the British public, as per the survey findings. All guests need to do is call the hotel’s dedicated Happiness Concierge and ask for a little burst of happy to be brought straight to them. Although the great British weather can’t always be relied upon, it seems as though sunshine is high on our list of happy priorities. A whopping 65% of Brits say that catching some rays greatly improves their mood. To ensure every day is a sunny day, Jurys Inn will be offering complimentary Light Therapy Lamps to guests who need a boost. Pampering yourself came high on the list of happy treats and the nation’s favourite way to indulge was through a relaxing bubble bath. Better than massage or having a facial, 37% of the nation feel happier after a long soak. Jurys Inn will offer guests a bubble bath kit as part of the new Happiness Menu. If you’re part of the 47% of the nation that enjoy a fresh aroma, you’ll love Jurys Inn signature scent, created with smile-inducing smells of apple, lemon and bergamot. Take a little bottle of happy with you on your travels when ordered from the Happiness Menu. When asked what a key factor in personal happiness was, nearly half (46%) of respondents said they needed to have some ‘me’ time. Travelling can be the perfect time to relax, unwind and enjoy some time alone. Jurys Inn guests can indulge and order a Me Time kit, packed with goodies. If it’s peace and quiet you’re after (like 41% of those surveyed) and you’re travelling with kids, why not order an activity pack to keep the little ones entertained? Water may be the source of life, but it’s also proven to be the key to happiness. Of those polled, 42% said that drinking lots of water makes them feel good all day. Complimentary water will be brought to guest rooms on request. As a nation of music lovers, it’s no surprise that 44% of respondents said that listening to their favourite music was their number one indulgence guaranteed to lift their mood. Jurys Inn has worked to compile a playlist to get your toes tapping, simply search ‘Jurys Inn Stay Happy’ on Spotify to tune in. When asked what breakfast will set you up for a great day ahead, the majority (28%) of the nation agreed it has to be a traditional Full English. Whether you want to hit the breakfast buffet or have breakfast brought to your room, you’re guaranteed a great start to the day at Jurys Inn. The survey also found that we’re a nation of blue-sky thinkers, as blue is our happiest hue. We also value our rest, with almost half of us (48%) agreeing that the best way to wake up feeling refreshed and ready to go is by getting our full eight hours. Situated in the most vibrant towns and cities across the UK, Ireland and Czech Republic, Jurys Inn is committed to identifying the little details that create special experiences for guests to ensure they enjoy a happy stay each and every time. From a warm welcome on arrival, superb customer service throughout, comfortable beds, plentiful breakfasts and delicious food and drink, Jurys Inn ensure guests don’t just stay, they stay happy. The Happiness Menu will be trialled in Jurys Inn Liverpool and will be available on request from Monday 8th April. Guests are asked to request by contacting reception. Each item on the Happiness Menu is limited to one per room and is subject to availability. Jurys Inn is a hotel group in the UK and Ireland. It operates 36 hotels under the Jurys Inn brand and 9 hotels under the Leonardo brand – 40 in the UK, four in Ireland, and one in Prague. 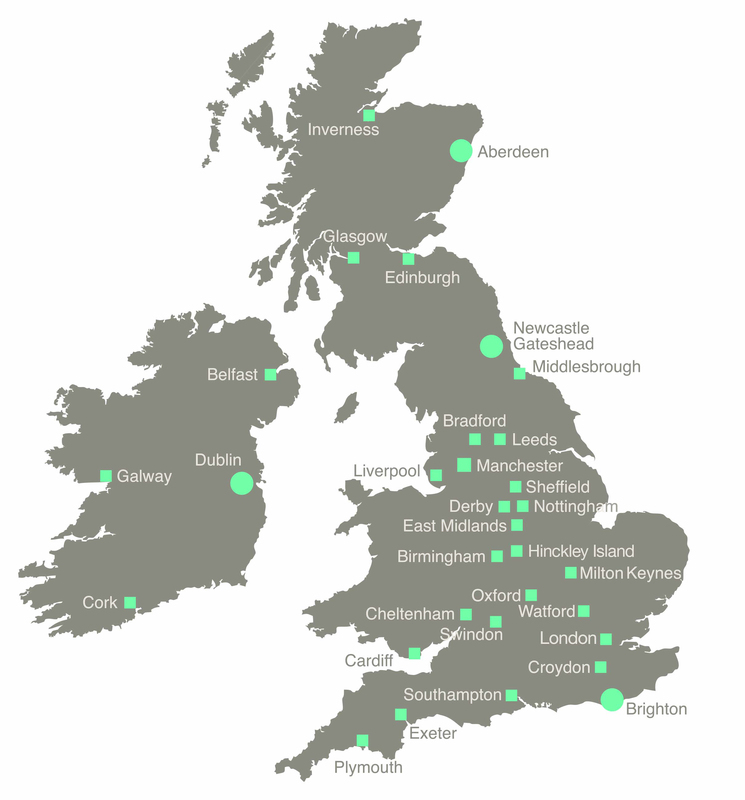 Jurys Inn is a member of the Fattal Group which operates over 160 hotels in 16 countries, including the operating platform for all 36 hotels within the Jurys Inn portfolio, and the leaseholds for 15 Jurys Inn hotels. Jurys Inn is also part of Pandox AB which is an established European hotel property investor and owner with 122 hotels and approximately 27,000 hotel rooms in 11 countries, including 20 Jurys Inn freehold hotels.